What can I learn from the Summer Institute? After the Summer Institute for Israel Studies (SIIS), which includes a two-week seminar at Brandeis University and a ten-day study tour in Israel, you will be able to create and teach courses in Israel Studies at your home institution. During the Brandeis residency, you will attend seminars given by distinguished Israel Studies scholars, in disciplines such as Israeli history, politics, sociology, literature, cinema, music, and more. You will discuss foundational and current Israel Studies scholarship, and learn about debates within the field. In Israel, you will meet with scholars, government officials, writers, artists, public intellectuals, and community leaders. You will visit cultural and historical sites, and you will have the opportunity to contextualize what you heard in the Brandeis portion of the Institute. See fellow testimonials for more details. Are there additional opportunities to learn about Israel studies after SIIS? 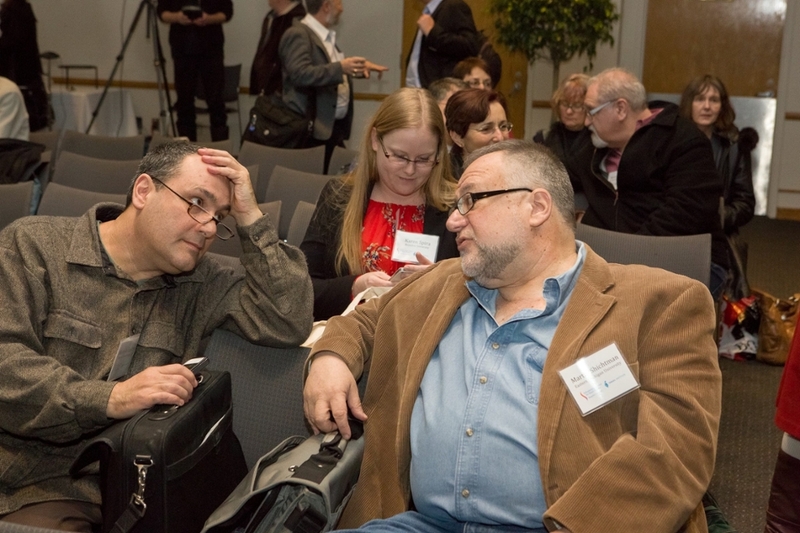 Following the program, SIIS fellows become part of an online community of Israel studies scholars through participation in an SIIS Listserv and Facebook page, open to all SIIS cohorts from 2004. The Schusterman Center invites fellows to participate in an annual conference designed for them and in a webinar series of lectures. Additionally, Fellows are welcome at all programs at Brandeis during the academic year. Fellows also have access to additional resources on our Online Resource Site for Israel studies. Do I need to speak Hebrew to participate in the Institute at Brandeis or in Israel? No. Most Fellows do not have any Hebrew language background, though some have been functional or fluent in the Hebrew language. Hebrew language proficiency is not required. How do I apply to be an Institute Fellow? Apply through Academic Jobs Online. The form contains everything you need to know. Keep in mind that your personal statement should explain your background and interest in Israel Studies, your plans for introducing an Israel Studies course at your home institution, and your expectations from participation in the Summer Institute. Important: one of your two recommendation letters must be from your department chair or a senior administrator stating your home institution’s interest in developing a new course in Israel Studies. You will be notified in early March. Where do other Fellows come from? Which disciplines do Fellows come from? Fellows come come from all disciplines in the humanities and social sciences, including history, political science, geography, film studies, literature, Jewish studies, economics, sociology, anthropology, Middle Eastern Studies, international relations, law and security studies. What are the accommodations like at Brandeis and in Israel? At Brandeis, you'll be staying in individual rooms within shared suites at the university's newest residence halls. You will be sharing bathroom and kitchen. In Israel, you'll stay in single rooms at hotels. At Brandeis, the program covers all meals taken on campus, which include bagels and coffee, salad buffet and hot lunch, hot or cold dinner. There are both vegetarian and kosher options available. Any meals taken off-campus are at the fellows' expense. In Israel, the hotel provides a magnanimous buffet breakfast, and the group often takes lunch at local restaurants or packs a lunch box. Dinner may be provided at the hotel, or fellows may pay for their own meals around town. As the group does eat in non-kosher venues, special kosher meals will be provided if requested. Other dietary restrictions are also accommodated (vegan, specific allergies). Is there universal wireless Internet access? There is wireless Internet access throughout the Brandeis campus. In Israel, the hotels offer Internet services at a fixed rate and the tour bus is usually set up for free Internet access.